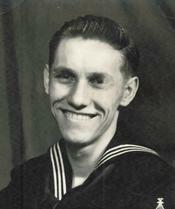 WAYNE EDWARD MILLS, age 78 passed away on February 11, 2011. Beloved husband of Dorothy; loving father of Barbara (David) Gonzalez, Sharon (Jessie) Lockhart, Wayne, Darrell (Maggie), Linda, Dolores, Bruce (Sue), and Edward Mills; grandfather of 10, step- grandfather of 7; great-grandfather of 6; step-great-grandfather of 6; step-great-great-grandfather of 2; uncle of many nieces and nephews; son of the late Floyd and Doris; brother of Robert, Phyllis Kirk, and the late Arthur, Dolores, and Elizabeth Reed. US Navy veteran from 1950-1959. Inurnment Brookdale Cemetery, Elyria, at a later date.